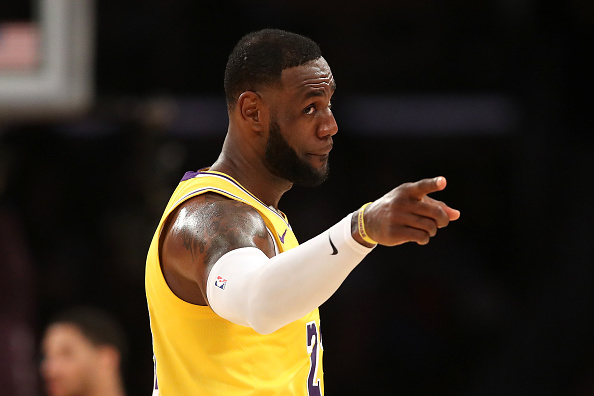 LeBron James has a lot on his plate this off-season, from his Laker duties to his off-court endeavours, but he still might be able to carve out some time to join TNT's "Inside The NBA" crew. During Sunday night's slate of games, Charles Barkley begged LeBron to put his other responsibilities "on the back burner" so he could join Chuck, Kenny, Shaq and Ernie in studio. As it turns out, James is actually entertaining the idea. The four-time MVP just posted the following on twitter, "Sir Charles, I actually do have a ton going on but I may take you up on your offer. We shall see. #KingInStudio." "I've said this before, America, and this is the last time," Barkley said with a smile during a segment Sunday night. "LeBron James, come into the studio. You ain't got nothing to do. The playoffs started yesterday. You've got free time. I know you've got to pick a coach and a general manager. Just put that on the back burner. I'm speaking on behalf — I'm begging you on behalf of (the rest of the crew) Ernie (Johnson), Kenny (Smith) and Shaq." "LeBron, how about this," Barkley continued. "You don't even have to stay. You can leave at halftime of the second game. ... We can help you pick out a coach. Listen, Shaq knows, because he would enjoy to coach. And Kenny's been interviewing for coaching jobs the last couple of years. So come on in, LeBron. Please."